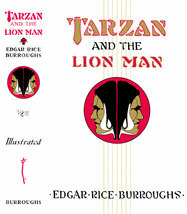 The Only Dust-jackets Officially Authorized by Edgar Rice Burroughs, Inc. 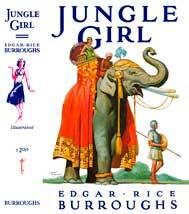 Here are all the dust jackets for the EDGAR RICE BURROUGHS, INC. editions produced from 1931 to 1948. I've put them all in one place to make them easier to find. They're arranged by series (except for the Venus series which has its own page) and I hope to get at least 4 of them done each year. I know that you wish I'd just get them all done at once—I wish I could—but since they take me 30 to 40 hours each, that's just not a possibity. These covers are all made from scans of the actual, original art, not from the printed dust-jackets. The detail is superior to any other reproductions on the market and 200% better than the original jackets. Close-up comparisons can be seen by clicking on each cover below. 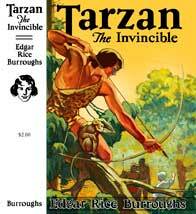 FOR COLLECTORS: THE ERB, Inc. First Edition Dust-Jacket Survey. Cover by Studley O. Burroughs. 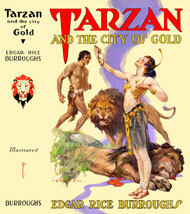 Tarzan and the City of Gold: 1933. 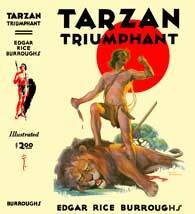 Tarzan and the Lion Man: 1934. 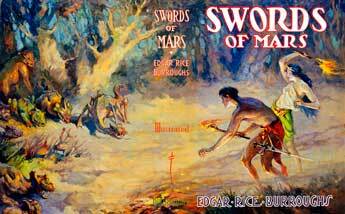 Swords of Mars: 1936. Cover by J. Allen St. John. 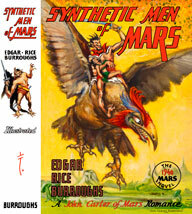 Synthetic Men of Mars: 1940. 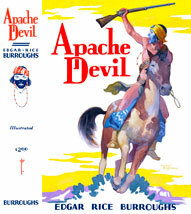 Cover by John Coleman Burroughs.